ypical me, I'm behind on all things holiday related. Honestly I don't even know if we'll get a Christmas tree this year. I feel like we're too busy and it's just not worth it to put up a tree and rearrange my living room. We're probably not going to do too much in the way of gift exchanging so it wouldn't have presents under it anyway. Though, I will say that after a few years of jonesin' for a faux white tree I might finally go for it. But anyway: Christmas! While the whole crazed materialistic buy-buy-buy thing that happens this time of year kind of freaks me out more and more as I get older, I love that this time of year is a prime opportunity to really support local and handmade small businesses. I'd much rather give my money to people who are living their dreams out and hustling to make their creative small businesses thrive. One of my favorite lady-hustlers is Moorea Seal who is a fellow PNW creative gal and someone I'm honored to call a friend and mentor. I met her years ago when we were both doing blog design for Freckled Nest and it's been such a pleasure to watch her creative aspirations flourish and business goals become realized over the years. My favorite thing about Moorea is that not only is she a creator herself (as we speak I'm wearing one of her necklaces), but her shop is stocked full of handmade designs by other creators, so when I shop at her store not only am I supporting her, but also all the creatives whose products she sells too. 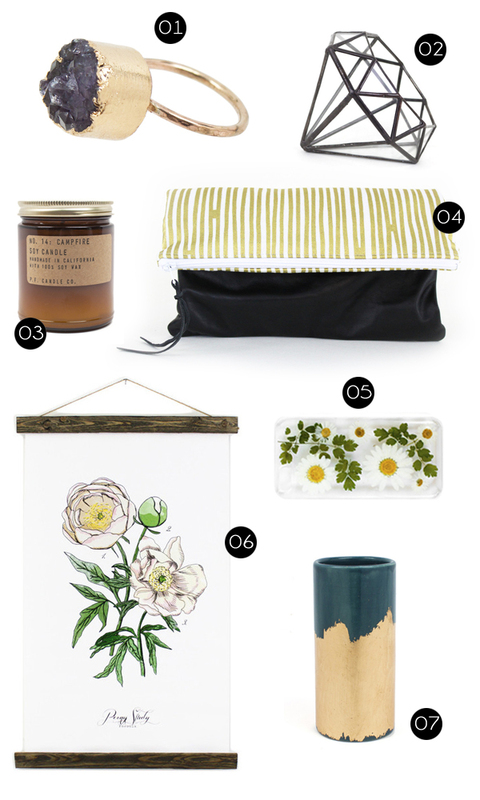 This little list is just a small sampling of a few of my absolute favorite items from her shop. I actually have three of the things on this list already!